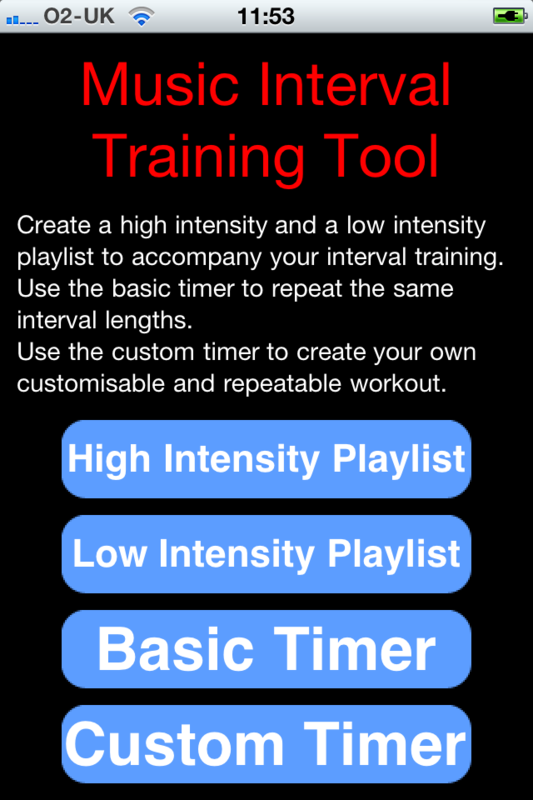 A fully customisable interval training timer that uses music to help you with your training. Perfect for running, cycling, spinning, rowing or any other exercise involving interval training. 1) Create a high intensity and a low intensity music playlist to help get you pumped up in your high intensity intervals and to calm your heart rate in your low intensity intervals. 2) You can fully customise your workout to include as many intervals as you wish for whatever duration you wish which you can then set to repeat. Or if you want, just use the basic interval timer for a simple workout of two repeating intervals.